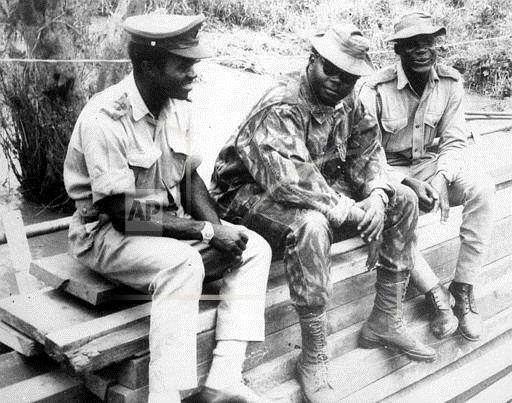 This article provides profile shots of Nigeria's military leaders between 1966-79 and 1983-99.
ike many other African countries, Nigeria’s postcolonial resumé is far from uncheckered. Coup after coup, the nation’s strive for democracy was overturned by military rulership. Between its independence in 1960 and its Third Republic in 1999, Nigeria crinkled under eight military Heads of State — all of whom, some argue, plunged the country into a deeper rabbit hole of division and corruption; and, others argue to have forged Nigeria's growth. 1966: Aguiyi-Ironsi, H. U. Katsina, Fajuyi, Ojukwu and Ejoor. Popular for: being the first Nigerian Head of State. ajor General Johnson Aguiyi Ironsi was born in Abia State in 1924. On moving in with his sister and her husband - a Sierra Leonean who served as a father figure to him - he was given the name “Johnson.” On January 16th, 1966, Aguiyi Ironsi took control of Lagos — Nigeria’s-then capital after Nigeria’s first coup led by Lieutenant (Lt.) Colonel (Col.) Kaduna Nzeogwua; leading one of the shortest military tenures in Nigeria’s non-democratic history. In this time, he devised the controversial Decree No. 34 that changed Nigeria’s government structure from a federation to a unitary state. Though a patriotic action on his part, this decree is said to have further cemented the distrust of the North against the Igbo after the so-called “Igbo coup of 1966b.” Northern elite saw the decree as an attempt to devolve regions of their power and impose a Southern dominated rule on them. 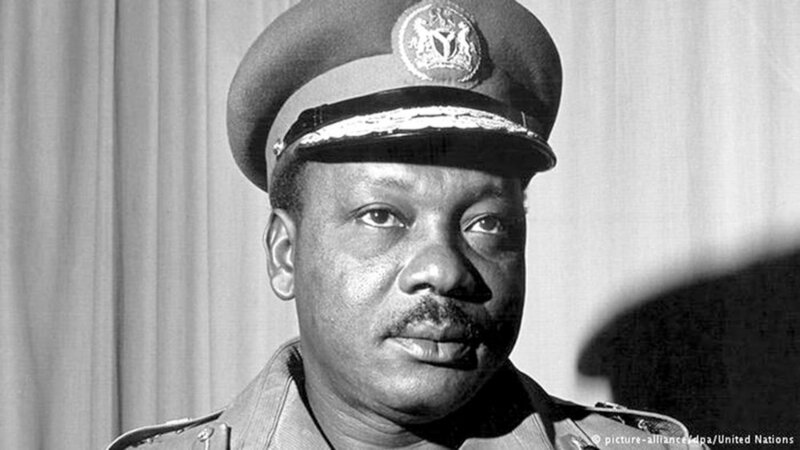 Aguiyi Ironsi’s regime was rife with tension and perceived to enhance ethnic divisions in the newly independent Nigeria. Major General Ironsi was later murdered alongside Major Adekunle Fajuyi in Ibadan by Northern army officers in the July 1966 counter coup. The rising fragmentation intensified during rule would later bubble into the Biafran War. Popular for: the Civil/Biafran War; repealing Decree no 34; creating states. 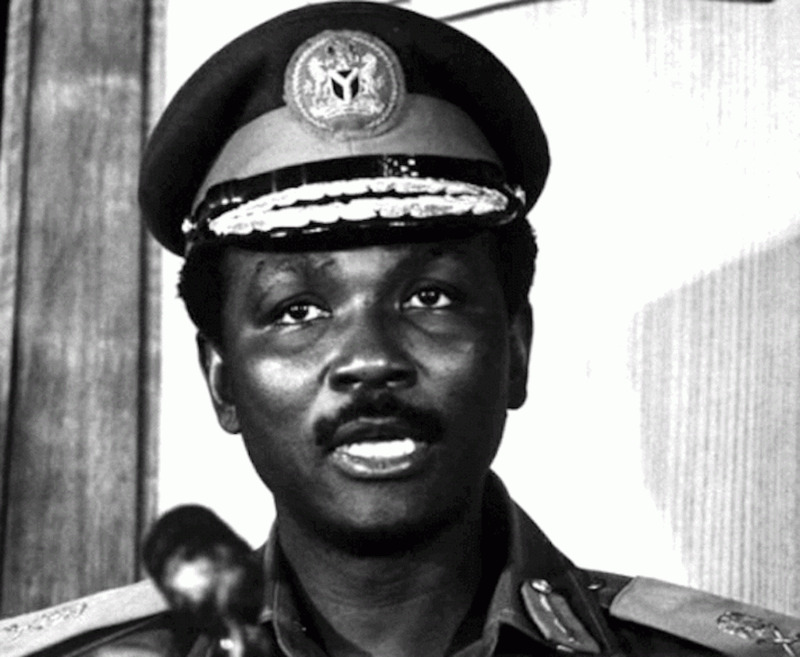 t age 31, General Yakubu Gowon became Nigeria’s youngest head of state, following the bloody July counter coup. Though reported to have begun his military career with no desire for politics, he is remembered for his statesmanship and presidence over Nigeria during the civil war. Gowon, otherwise referred to as ‘Jack’, was born to missionary parents in Plateau state. He spent his early years in Zaria before joining the Nigerian army in 1954; later joining the Sandhurst Military Academy, UK. Leading up to the war, Gowon had met General Odumegwu Ojukwu in Aburi, Ghana to curb plans of secession. The meeting, yielding no fruit, preempted the war that came to the Nigerian shores. Gowon, determined however to maintain Nigeria’s unity, made tactical moves to debilitate the Biafran cause; creating 12 states and annexing the Oil rich South-South in 1967. This - as with rising death tolls, poverty and morbidity - forced Biafra to its surrender in 1970. By way of the Oil boom in the '70s, Nigeria earned more revenue as well as social, economic and political power. This consequently led Gowon’s regime to put forward the Indigenisation Decree of 1972: a policy that gave the state the right to assign ownership of business to whoever they deemed fit. Though this policy was originally intended to boost the role of indigenous Nigerian businessmen and local investment, it instead buttressed corruption. In July 1975, General Yakubu Gowon was deposed in a bloodless coup. Popular for: his assassination in a car alongside his ADC in Lagos; bearing the name of the Murtala Mohammed Airport in Lagos, and the face of the 20 Naira note. eemed a charismatic leader by many, Murtala Mohammed was born in Kano in 1938. He was the third military head of state in Nigeria; leading Nigeria after the coup that overthrew Gowon. His regime was popular for stripping the Nigerian press and media of independent rights, and establishing a military-controlled press. Murtala is also said to have mastermindedc the move of Nigeria’s Capital from Lagos to Abuja - a change instigated by the rapid increase in Lagos’ populationd density. Like many other Northern officers of the time who would rise to political prominence, Murtala played a role in the coups of the 60s — primarily in the July counter coup that witnessed the death of Aguiyi Ironsi. He was also the General Officer Commanding of the Army’s second division during the Civil War; superintending the 1967 Asaba Massacree of Biafran prisoners of war. In 1976, General Mohammed was assassinated in his black mercedes on his way to work by soldiers in the abortive coup led by Lt. Col. Dimka. Popular for: pioneering voluntary military to civilian power transfer in Nigeria; Universal primary education. ailing from Abeokuta in Ogun state and fondly called Baba or OBJ, General Olusegun Obasanjo’s first coming as a military Head of State of Nigeria came off the heels of the assassination of Murtala Mohammed. Prior to this, OBJ held the position of General Officer commander of the 3rd infantry division during the Biafran war. 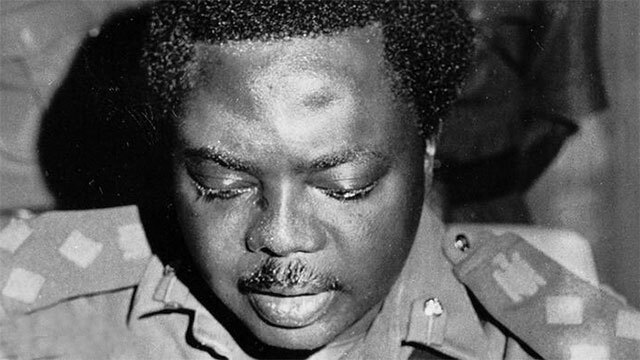 He later served as the Chief of Staff under General Murtala’s administration. His career as the Head of State witnessed an increase in state involvement into societal affairs with initiatives such as Universal Primary Education program, Operation Feed the Nation and the Festival of Arts and Culture (FESTAC). During his tenure - often referred to as the ‘Murtala-Obasanjo’ regimef - billions of Naira were pumped into the construction of the FCT as well as other nationwide socio-political developments. Despite these achievements, his government was known to be nepotic and to exploit power for personal gain. This abuse of power led Obasanjo to become one of the infamous foils to the legendary Afrobeat pioneer Fela Anikulapo-Kuti. Due to this, Fela’s home at the Kalakuta Republic was raided by the military and his mother, Funmilayo Ransome Kuti, was thrown out of a window, leading to her death. Fela wrote the song Coffin for Head of state following this event. Abubakar transfers leadership of Nigeria to civilian president Obasanjo. Popular for: War against Indiscipline; The Umaru Dikko Affair. our years into its Second Republic, Nigeria was hit with yet another coup. 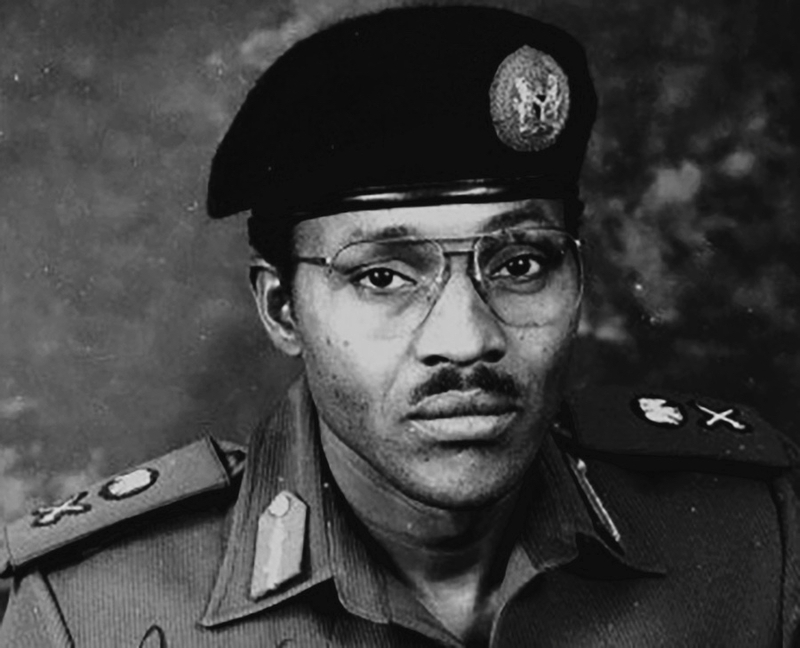 This time, the coup outed civilian President Shehu Shagari and ushered in Major General Muhammadu Buhari - the now President of Nigeria. Eerily similar to his current administration, General Buhari prioritised the fight against Nigeria's old friend - corruptiong - and he took over when the country was at the cusp of an economic downturn. His 1983-1985 regime was notably suppressive in its response to criticism. This was thanks to the Protection Against False Accusations Decree, otherwise known as Decree No. 4, which led to the imprisonment of journalists. As a result, Buhari was labelled as a human rights violator — a common label among most Nigerian military Heads of State. He increasingly gained somewhat international reputation, following the arrest and imprisonment of Fela Kuti before his much publicised 1984 American tour. Fela’s song Beast of No Nation is largely about him. Popular for: nullifying the June 12 Elections. n 1941, General Ibrahim Badamosi Babangida - popularly called IBB - was born. He was a military officer who, like Buhari, played a role in many of the coups that preceded the coup that brought him into power. In order to ensure loyalty during his rule, he retired all officers he did not trust; then redistributing government and military positions to his cronies and spending millions of Naira on ‘gifts’ to his loyalists and all senior officers. This, he called: “rebranding” the Nigerian army. Due to the permeation of state agendas into labour unions as well as the obvious nepotism, corruption is said to have been officially institutionalised in IBB’s regime. At the expense of the nation, General Babangida and his family notoriously amassed wealth and invested in the infrastructural development of Niger state - his state of origin. By 1991, he had created 11 more states, making 30 states in Nigeria. In a form quintessential to military dictators, human rights violations were common place in this regime — the most notable being the killing of Dele Giwa. In the same vein, Babangida’s government which, at first, seemed committed to a return to civilian rule, cancelled the June 12th electionsh officially won by Moshood Kashimawo Olawale Abiola (MKO). As such, the annulment led to widespread protests and further delegitimisation of the transparency of his administration. His regime paved the way for the interim civilian government of Ernest Shonekan. Popular for: being a quasi-dictator; the execution of Ken Saro-Wiwa. eneral Abacha - a military officer from Kano - is easily one of the most popular Nigerian Heads of State. The General was easily recognisable, thanks to his popular sunglasses. He, however was and remains a very historically controversial ruler. Far and wide, Nigerians and the international community felt the brunt of his rule. As Obasanjo put it, he was seen to be “only out for himself”. His rise to power was thus narrowed the hopes of democracy. Abacha was also very well known for the strict hand with which he operated. He largely condemned any politically charged activity and intellectual freedom of the press and/or speech. Through his rejection of the June 12th elections and the prohibitions of political parties, Abacha’s rule looked to stamp out seeds of democracy. These restrictions imposed would then see the exile of Anthony Enahoro, the charge of treason on Wole Soyinka and the subsequent execution of Ogoni environmental activist Ken Saro-Wiwa. Sani Abacha was most notably corrupt. Till today, twenty years later, details of his corrupt dealings are still being unraveled with several countries; leaving Nigeria embattled in the repatriation of his lootedi funds, estimated at over 801 million dollars from the USj and Switzerland. Abacha’s rule ended as a result of a his sudden death in 1998 — one which many in Nigeria celebrated, particularly as a step closer to democratic freedom. Popular for: establishing the Independent National Electoral Commission (INEC). orn in 1942 in Minna, General Abubakar was one of the pioneering sets of Nigerian airforce officer cadets in 1963; undertaking trainings in West Germany. In 1966, he seconded to the Nigerian army where he held several military posts including Chief of Defence Staff, under Abacha’s rule. Following the death of General Abacha, he pledged to returning Nigeria to civilian rule, after 16 years of military rule in the Second Republic. In 1998, General Abubakar dissolved National Electoral Commission of Nigeria (NECON) and established INEC to facilitate the transition to democracy. In 1999, General Abubakar established the May 1999 constitution; later handing over presidency, once more, to Olusegun Obasanjo — this time, through a democracy. He thus served as Head of State for only 10 months. Something not quite right? Fact check us. Send us an email at info@thebookbanque.com. 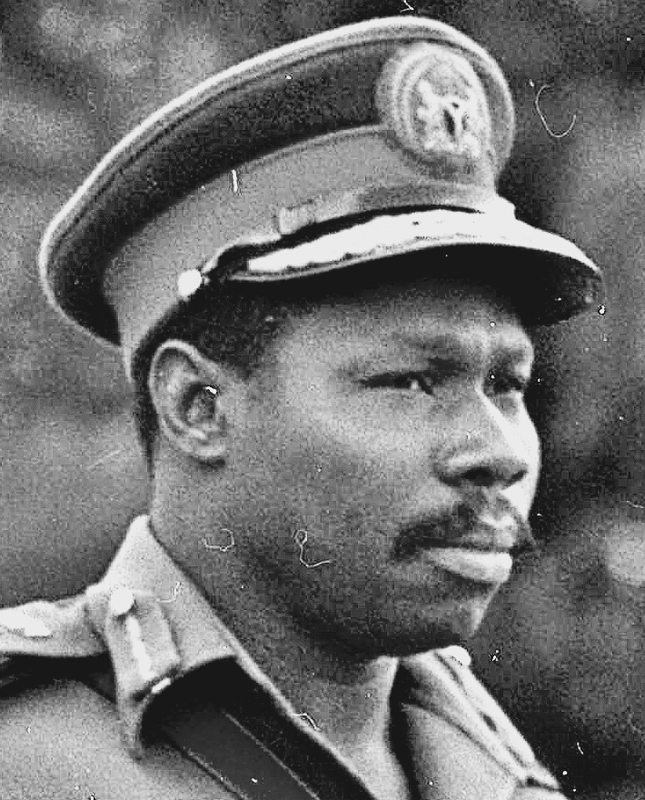 a The leader of Nigeria’s first military coup. b The 1966 coup was referred to many(especially in the North) as an Igbo coup because of the fact that it was perpetrated by Igbo officers and the fatalities were Northern officers. c Though masterminded by Murtala, the move to Abuja was not finalised till 1991.
d The City And Its Bride - an article on the Lagos' population and urban slum growth by Tobi Jaiyesimi. e An article on the Asaba Massacre by The Book Banque (forthcoming, January). g Buhari launched the War Against Indiscipline campaign which included the use of a task force to impose law and order. h A bibiliography on the June 12th Elections, compiled by The Book Banque. i Pictorial representation of Abachi's loot shown in Ngozi Okonjo-Iweala's Reforming The Unreformable. j The US department of justice, in only 2014, returned 480 million dollars of funds traced to Abacha.